I'm a huge cream product lover and over time, I've collected way too much. Awhile ago, I saw an Instagram story from PaleCanvas involving some depotted some cream color sticks and it inspired me to also depot some of my cream products. 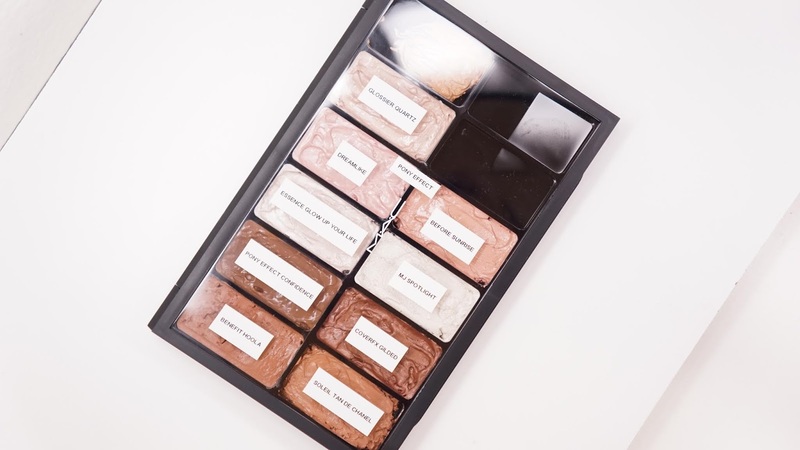 Honestly, I'm not the biggest fan of premade face palettes but the idea of all of my favorite cream products in one palette really intrigued me. While there are some favorites in my palette, I didn't depot all of them. Some of my well loved cream products are too loved and so I didn't have enough to fill a spot and keep some in the original packaging for traveling. There's actually a little blob of foundation in the upper left which is the Hourglass Vanish Seamless Finish Stick Foundation and that's way too expensive for me to fill up. I couldn't put it back into the stick and so I left it there to use as actual foundation, concealer, or to help clean up any makeup mishaps. This post is going to be very long and so instead of doing a mini review of each product, I'm mostly going to touch on how the products "reacted" to being depotted. For this palette, I bought the MAC Pro Palette Large (here) and 12 Pan Insert (here). Smooshing the product does break down the cream and makes them more emollient, but I read somewhere else that using a hair dryer to slightly heat up the top layer should mostly fix that to rebuild the "barrier." 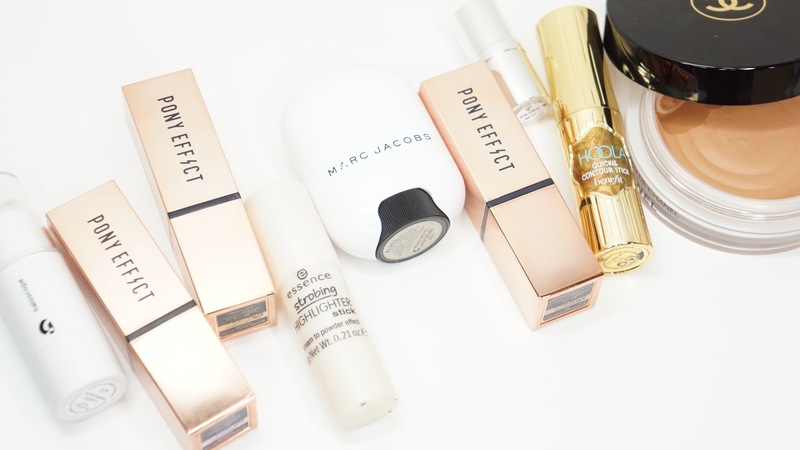 Besides the Marc Jacobs Beauty Glow Stick, all the other cream products retained their same original texture. Just a slight warning if you do this with the Glossier Haloscope like me. The core when smooshed/blended together made the overall product more creamy and soft in the pan, but I'm personally fine with it. I've mentioned it before, but I think it's weird that cream bronzers and bronzers in general only come in one or maybe 2 shades. I have three non-shimmery bronzer/contour shades and they're all aimed towards light to medium skin tones but they're also either the only shade or the darkest shade available. 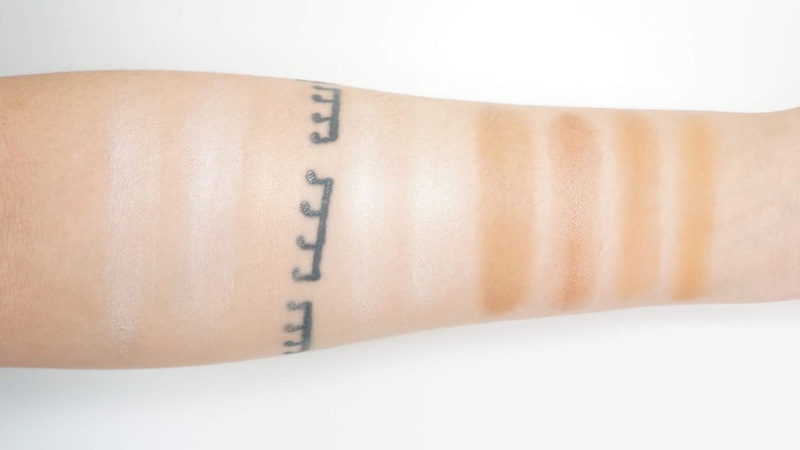 On my skin tone, the Chanel Soleil Tan De Chanel is slightly on the warm side and so I use that when I want to strictly bronze/warm up my skin tone. The Benefit Hoola Contour Stick is more neutral for me and so I can use it to bronze and contour. 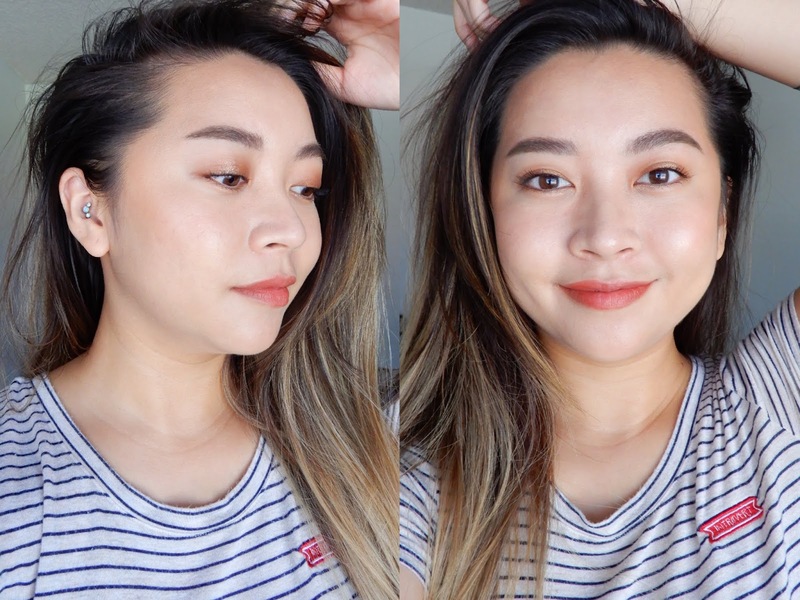 The Pony Effect Arti-Stick in Confidence can also be a bronzer on me, but it's much better to add to shading aka subtle contouring to my face. The The Cover FX Enhance Click in Gilded is darker, but it's also the only shimmery bronzer shade I have in this palette. It's personally not as easy for me to use like the other bronzer shades but if you're darker than me and would like a medium-ish shimmery bronzer, this is a great pick. Cover FX is phasing out the "Click" line, but I would pick it up if you can since they have a great texture and the packaging is so compact. Now that Gilded is depotted and more visible/open to me in this palette, I'm planning on mixing this shade with the other cream products to fit my skin tone better when I want that bronzed glowy goddess look. I was kind of worried about depotting the Essence Strobing Highlighter in Glow Up Your Life since it's a cream to powder formula but it held up really well. Honestly, it doesn't dry to a powder finish and so that might be why. 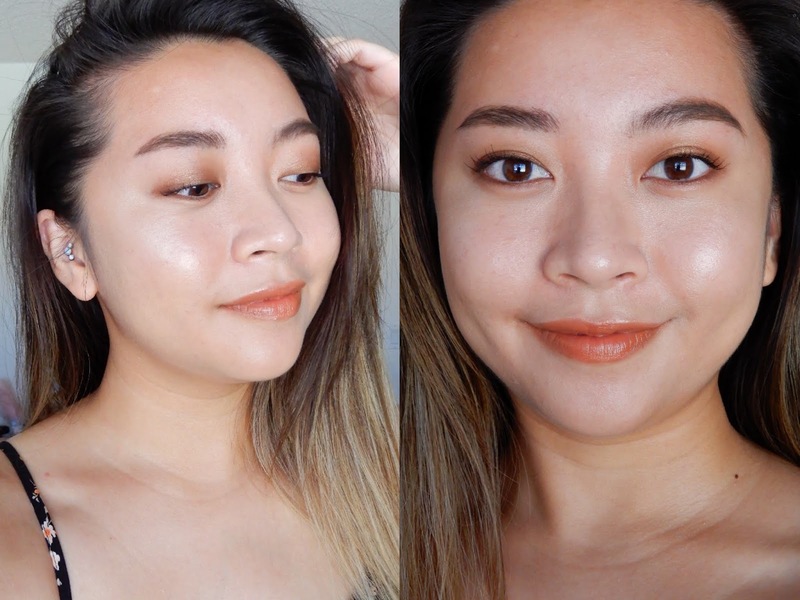 It normally just sets to be a skin like but gorgeously dewy finish with a fine shimmer kind of like the Hourglass Vanish Flash Highlighting Stick. The Pony Effect Arti-Sticks also kept their same texture really well. It's like nothing happened and there was so much product that I was able to keep a little bit less than half of the visible bullet in the original packaging. Besides the massive Chanel bronzer and Marc Jacobs Beauty Glow Stick, I had to use almost the whole bullet of each cream stick. I love a full face of cream products since everything makes my skin look so dewy and healthy, but I wear glasses. My t-zone gets shiny during the day and that plus glasses creates foundation buildup on my nose. Because of that, I do normally have to set my nose with powder. I can usually dab away excess concealer or foundation under my eyes after I finish my makeup to reduce creasing as well, but I usually put any leftover powder from my nose to my under eye area just in case. If you don't wear waterproof mascara, powdering the under eye area can also help with mascara smudges. I think because I haven't been blogging for awhile, everything just came rambling out. What are your favorite cream products? Do you switch to wearing cream products during the summer too?